Over time, dentures can build up calculus or become stained, just as natural teeth can. When this happens, it can be difficult to get them clean again on your own. 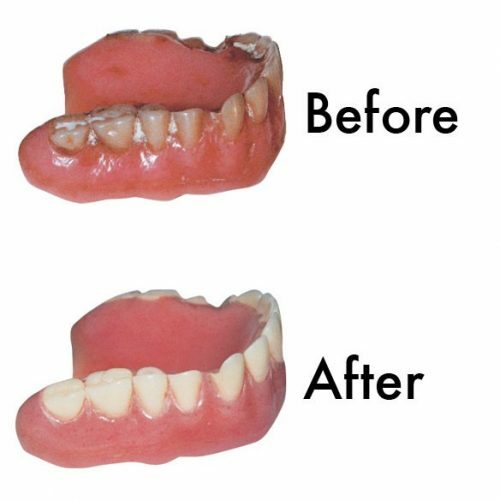 At Denture Helper, we have the equipment necessary to remove stubborn calculus and stains from your dentures. So even if your denture doesn’t need to be repaired, we can still help them to look and feel better by professional cleaning and polishing. If your dentures have been sent to us to be repaired, we can also clean and polish them at the same time.